Thank you for responding. I actually was on the website but whenever i tried to download a .rar file it would bring this up. 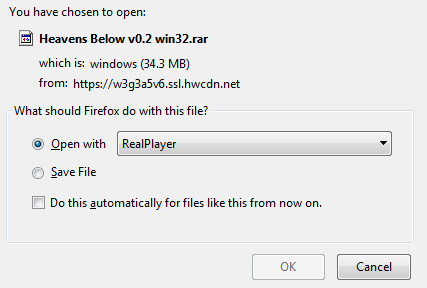 It would open it with realplayer, instead of Windows explorer like it normally would if it was a .zip file, I don't know why. Any help is appreciated. Hi, I was wondering if there will be a future update where you could change the .rar files to .zip files instead? It will make it a lot easier to download. Every time i download a rar. file it won't let me play the game. Does anyone know how to fix this?